The Brent Delta topside being lifted by Allseas's Pioneering Spirit vessel. Shetland’s bid to cement its place as a major North Sea decommissioning centre has been given the seal of approval by a heavy lift vessel contractor. Allseas ­­– owner of the huge Pioneering Spirit vessel, which removed Shell’s Brent Delta platform in a “single lift” operation last year — will deliver an oil installation to the Dales Voe facility at Lerwick. The Switzerland-headquartered firm will remove a northern North Sea platform’s topside modules in one fell swoop. In turn, Allseas has handed the contract for the onshore disposal to a joint venture comprising Veolia and Peterson, managers of the Dales Voe site. 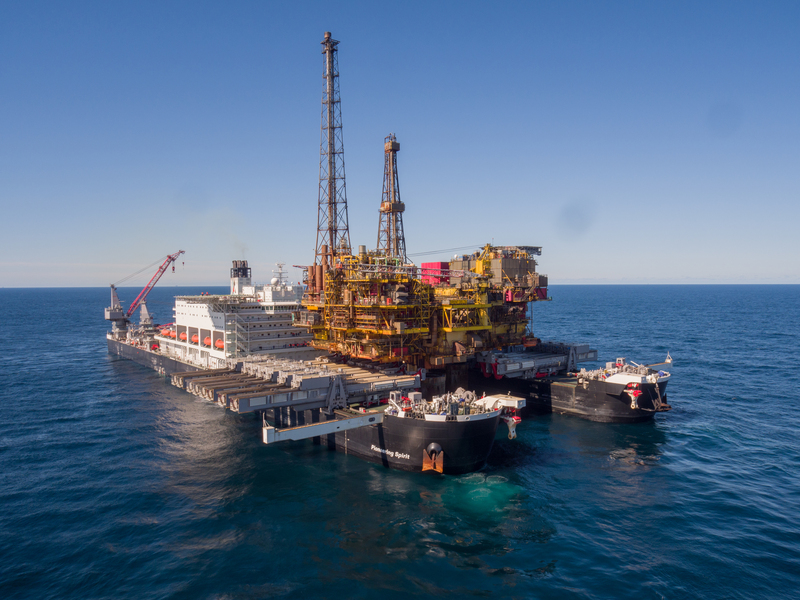 Evert van Herel, senior project manager at Allseas, said the contract was for CNR International’s Ninian North installation, which weighs about 12,500 tonnes. He was speaking at an industry showcase event organised by the Oil and Gas Authority and Highlands and Islands Enterprise in Lerwick. Dismantling is expected to start in Shetland in 2020, with preparation work to get under way at the base in 2019. Also today, the Scottish Government said Dales Voe had been identified as the best place in the UK to build an ultra-deep-water port for scrapping large installations.